Who mu st license their business? Generally, all businesses are required to license with the local municipality in which they are doing business. General standards exist for licensure, but each city also has unique requirements and procedures. 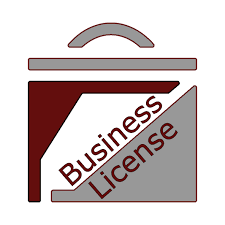 A business license is where Ivins City grants permission to engage in a business activity at a specific location within the City. The definition of a business includes every trade, occupation, profession or activity engaged in for commerce. A business may be inspected and required to fulfill local zoning, building, safety and health requirements before receiving a license. Once I apply for a business license/permit how long does it take to get one? Residential Solicitation – 1 day for a temporary – 1-3 weeks for an annual. How much does a business license/permit cost? Handbill Distribution Permit – $25.00 – valid for 30 days. What types of business licenses require a Background Criminal Identification (BCI) check? Background checks are required for the following business activities: beer and liquor, residential solicitation, dancers, sexually oriented businesses & employees, anything to do with children and day care providers. Where can I apply for a Background Criminal Identification (BCI) check? Home Office and Home Occupation Business Licenses are specifically designed for those that want to work from their home.